An audio oscillator is used to drive a lab amp, that has a 17V RMS outpur way above the expected frequency range of the transformer under test. A 6K6 series resistor is used to simulate the anode resistance of the two output valves. 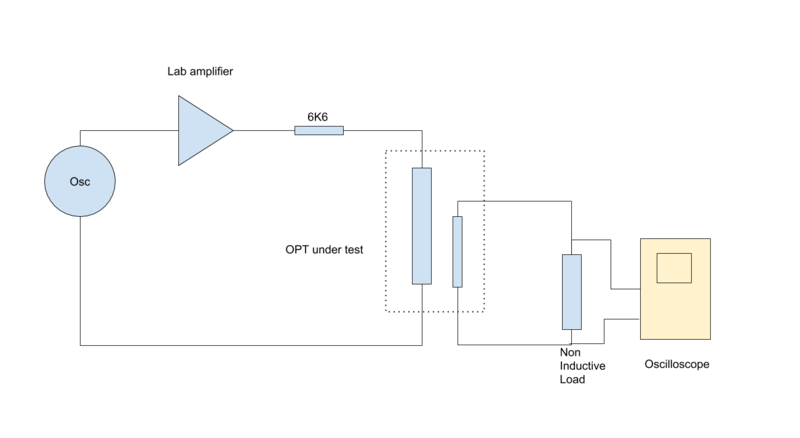 A non inductive load is attached to the secondary. 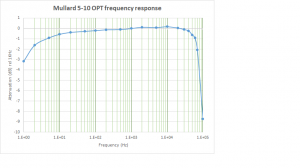 The response is constructed by setting the oscillator to the required frequency, the output of the amp is set to a known amplitude, that you will be able to keep constant, in our case this was 15V RMS, or 42.4V Pk-Pk. At each frequency the amplitude at the amplifiers output is adjusted to the set point, and a measure of the amplitude on the secondary is taken. I used a Pico scope with true RMS measurements, and some averaging to get a good reading of the input voltage and the output voltage. As can be seen the response is very good indeed. 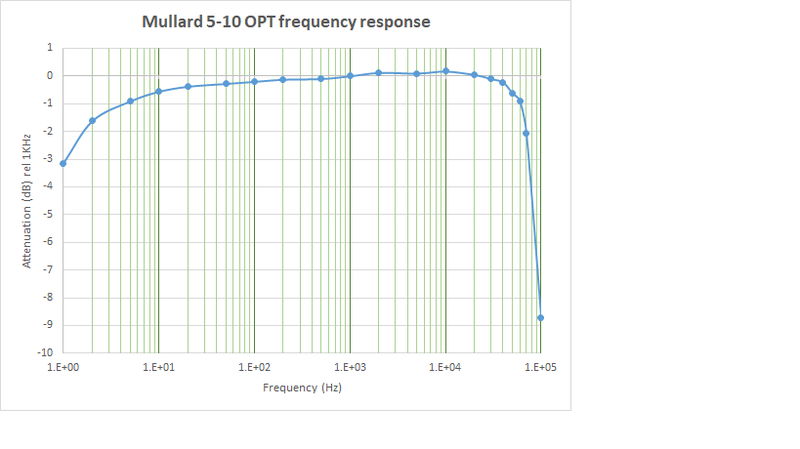 The -1dB points being taken as 4Hz and 60KHz. So we are very pleased with the results. It is an excellent transformer, and is now available here.